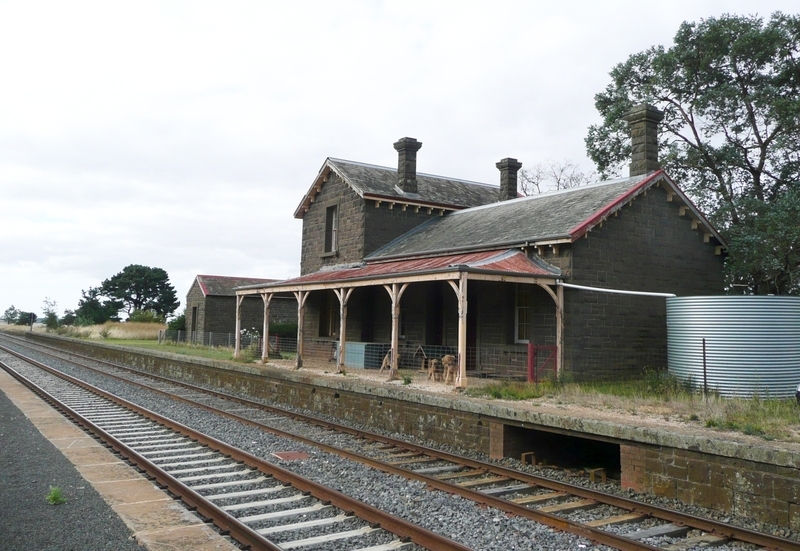 Carlsruhe Railway Station was constructed in 1862 by the Victorian Railways, on the Melbourne-Echuca line. 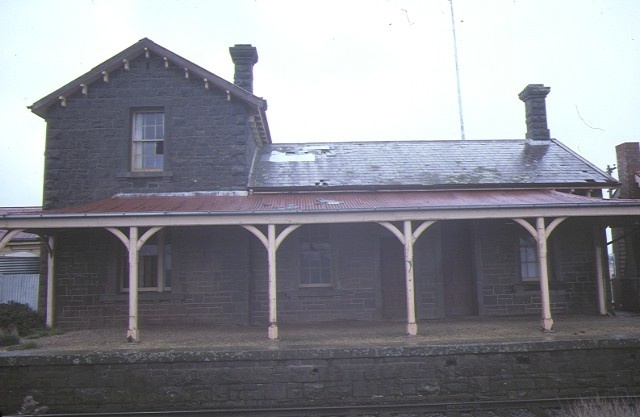 It consists of a single storeyed, standard bluestone station building with a two storeyed residence (timber section now removed); a timber posted concave verandah and bluestone walls to the passenger platform. 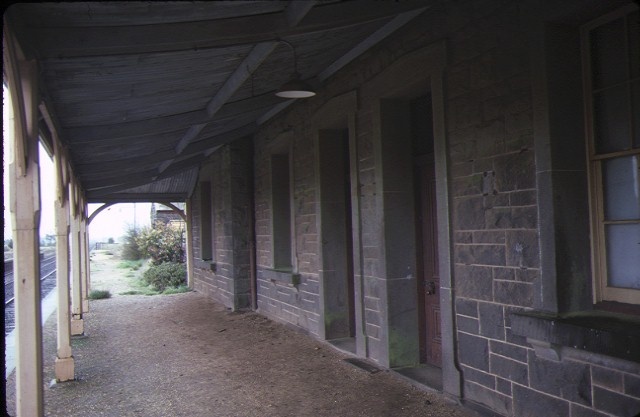 A bluestone lamp room/toilet block adjoins while the waiting shelter and signal box have been removed. The building is no longer in use as a railway station and is currently leased. 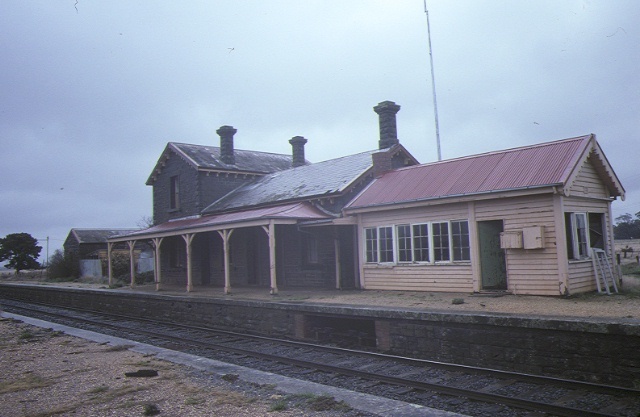 Carlsruhe Railway Station is historically and architecturally significant to the State of Victoria. Carlsruhe Railway Station is historically significant as an intact example of country railway station architecture of the 1860s. This was the period of the 'main trunk lines', c.1857 - c.1869, the formative years of railway development in Victoria. The complex is important for its potential to yield information on the changing nature of railways, locomotive technology and public transport use in Victoria. Carlsruhe Railway Station is architecturally significant as an important contributor to the architectural character of the Melbourne-Echuca main trunk line, one of the first railways built in Victoria. The station is an intact example of the 'Carlsruhe' style of railway station buildings, which was a direct derivation of the 'English' style - a style which was evident in England during the 1840s and 1850s, based on classically derived planning principles and details. The 'Carlsruhe' style was the first standard design developed by the Railway Department and is further characterised by the architectural composition of all of the buildings on the site as a cohesive whole. 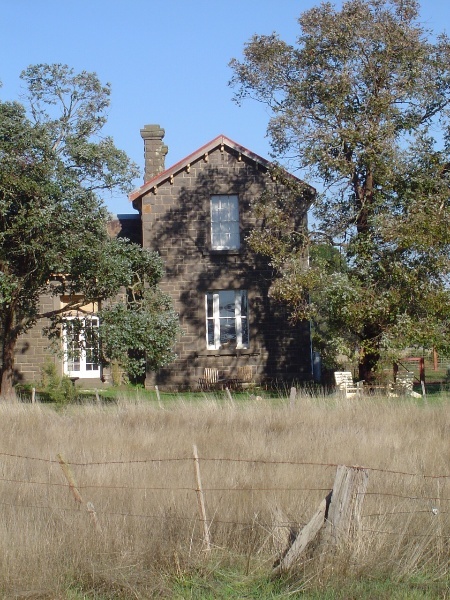 The principal buildings were commonly constructed of bluestone. 1. All of the buildings known as the Carlsruhe Railway Station, including the station building and platforms (B1), the lamp room/toilet block (B2), as marked on plan 602557. 2. All of the land surrounding the buildings marked L1 on plan 602557, being part of Crown Land vested in Victorian Rail Track, as part of Old Law Book 101, Memorial 63. Carlsruhe Railway Station is historically significant as an intact example of country railway station architecture of the 1860s. This was the period of the 'main trunk lines', c.1857 - c.1869, the formative years of railway development in Victoria. The complex is important for its potential to yield information on the changing nature of railways, locomotive technology and public transport use in Victoria. The station is an intact example of the 'Carlsruhe' style of railway station buildings. Carlsruhe Railway Station is architecturally significant as an important contributor to the architectural character of the Melbourne-Echuca main trunk line, one of the first railways built in Victoria. The station is an intact example of the 'Carlsruhe' style of railway station buildings, which was a direct derivation of the 'English' style - a style which was evident in England during the 1840's and 1850's, based on classically derived planning principles and details. The 'Carlsruhe' style was the first standard design developed by the Railway Department and is further characterised by the architectural composition of all of the buildings on the site as a cohesive whole. The principal buildings were commonly constructed of bluestone. The purpose of the permit exemptions is to allow works that do not impact on the significance of the place to occur without the need for a permit. The exterior of these buildings are of prime importance as a representative of the Carlsruhe Style.The interiors are important if original fittings ans fixtures still survive. Track works and maintenance to the buildings are able to be undertaken without a permit.